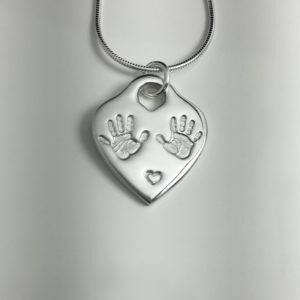 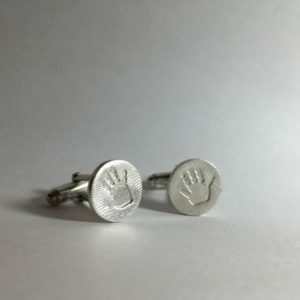 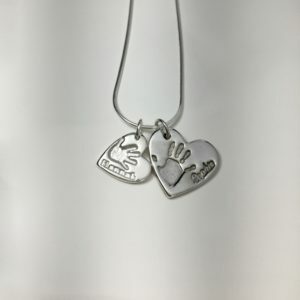 Capture the distinctive shapes of your loved ones handprint or footprint on a unique fine silver charm. 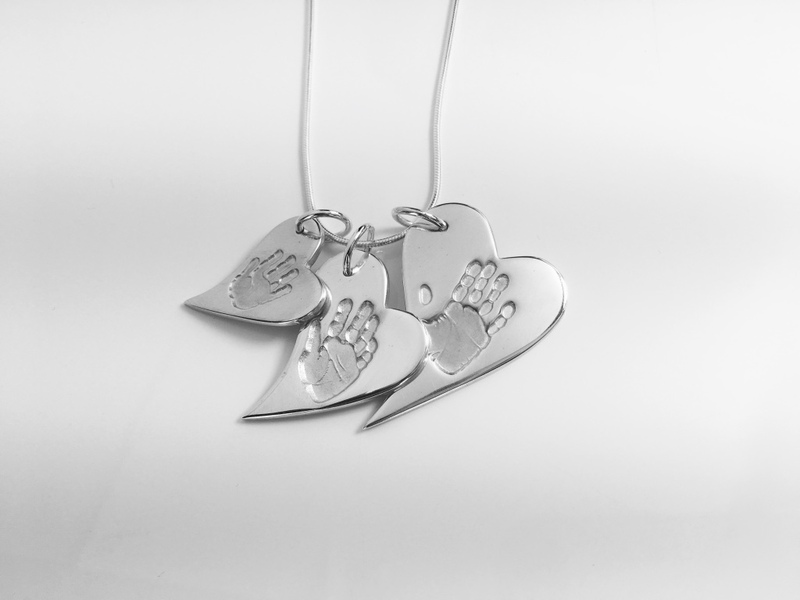 The triple cascade includes a small, medium and large charm that sit beautifully together. 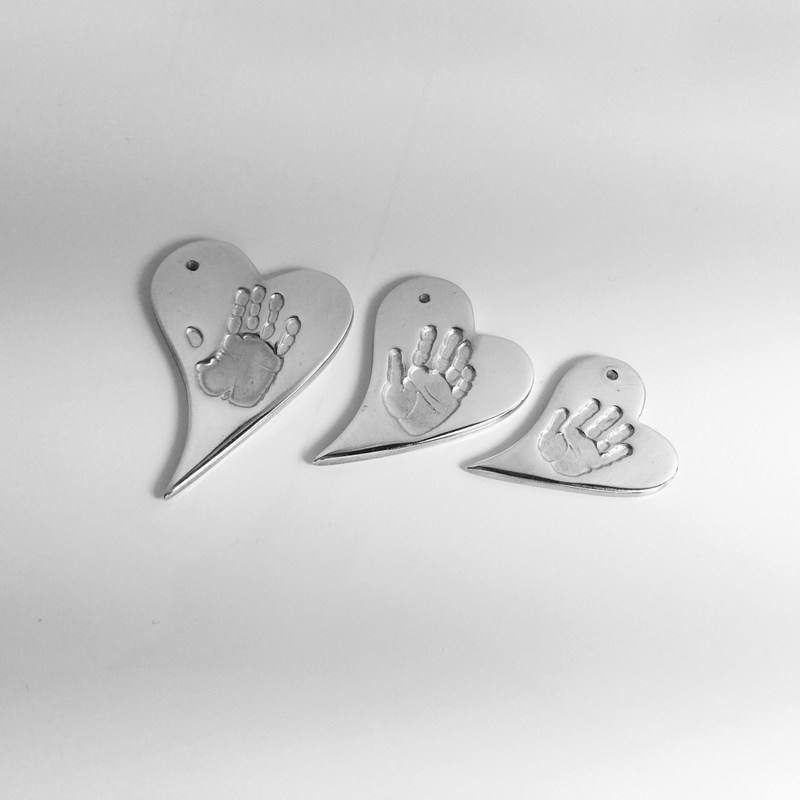 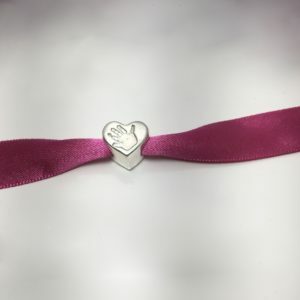 Triple charm cascades are lovely for siblings or parent and child combinations.